In pharmaceutical industries, the quality assessment of emulsions is typically based on subjective examination of these samples under the microscope by trained analysts. The major drawbacks of such manual quality assessment include inter-observer variability, intra-observer variability, lack of speed and poor accuracy. In order to address these challenges, an automated approach, based on machine vision and machine learning, is investigated in this study. Micrographs, obtained during an emulsification process, are classified into four quality-based categories named TAMU (target, acceptable, marginal and unacceptable). A machine learning approach using principal component–based discriminant analysis is employed in this study for the classification. This approach is compared with manual classification results obtained for the same set of micrographs using attribute agreement analysis, which is a methodology of assessing the accuracy and precision of an evaluation system. The automated approach is demonstrated to be repeatable, 40% more accurate compared to the least performing analyst and 10% more accurate than the best performing analyst. The results show that the automated classification is superior to manual classification of micrographs with respect to speed (180 times faster), greater accuracy and repeatability. The automated approach, implemented as a soft sensor, integrated with real-time image acquisition can be applied for in situ process monitoring of emulsions. The real-time approach can be used to predict the instantaneous product quality as well as optimum process time required to achieve the desirable droplet characteristics, which will avoid over-processing and wastage of resources in pharmaceutical industries. 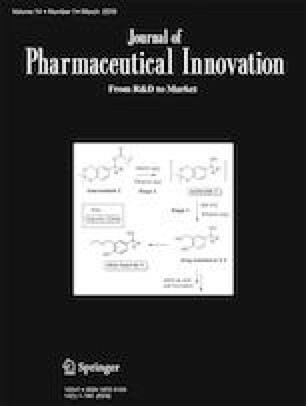 The authors wish to thank Dr. Stephen Finn (GlaxoSmithKline, Sligo, Ireland) for providing the microscopic images for analysis. This work was financially supported by Institute of Technology Sligo’s President’s bursary award. The North West Centre for Advanced Manufacturing (NW CAM) project is supported by the European Union’s INTERREG VA Programme, managed by the Special EU Programmes Body (SEUPB). The views and opinions in this document do not necessarily reflect those of the European Commission or the Special EU Programmes Body (SEUPB). Minitab, Attribute Agreement Analysis, n.d. http:// support.minitab.com/en-us/minitab/17/Assistant_Attribute_Agreement_Analysis.pdf. Accessed 02/05/2018. Ulery B, Hicklin R, Buscaglia J, Roberts M. Repeatability and reproducibility of decisions by latent fingerprint examiners. PLoS One. 2012;7(3). https://doi.org/10.1371/journal.pone.0032800. Chung K, Crane MM, Lu H. Automated on-chip rapid microscopy, phenotyping and sorting of C. elegans. Nat Methods. 2008;5:637–43. https://doi.org/10.1038/nmeth.1227 https://www.nature.com/articles/nmeth.1227#supplementary-information (Accessed: 22 June 2018). Schindelin J, Arganda-Carreras I, Frise E, Kaynig V, Longair M, Pietzsch T, et al. Fiji: an open-source platform for biological-image analysis. Nat Meth. 2012;9(7):676–82 doi:http://www.nature.com/nmeth/journal/v9/n7/abs/nmeth.2019.html#supplementary-information (Accessed: 22 June 2018). Minitab 18 Support. https://support.minitab.com/en-us/minitab/18/help-and-how-to/quality-and-process-improvement/measurement-system-analysis/how-to/attribute-agreement-analysis/attribute-agreement-analysis/methods-and-formulas/assessment-agreement/#confidence-intervals-for-percent-agreement. Accessed 01/03/2019.